At the ALDO Ranch it's all about the wildlife and memorable hunting times spent with friends and family. From sight-in to picture time, our game management plans and preparations are based on years of successful hunting experiences. The ranch balances over 1000 acres of Edwards Plateau range country, and crop fields, water ways and wells, with food plots and supplemental feeding. Natural conditions combined with improved habitat provide the cover, nutrition, and water needs for healthy wildlife. Management of the ranch wildlife includes habitat improvements - brush clearing, native vegetation seeding targeted for wildlife, mineral licks, water distribution, census counts, and selective hunting based on conditions and records. 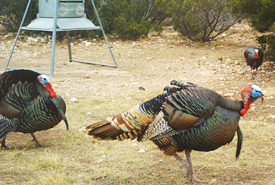 The ALDO Ranch received the Nolan County Soil & Water Conservation District's Wildlife Conservationist 2006-2007 award (read the article here). 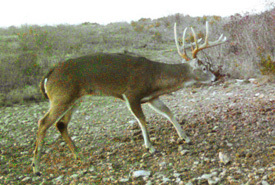 We are a member of the Quality Deer Management Association and Texas Wildlife Association. 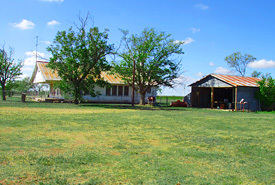 The ALDO Ranch is located 22 miles south of Sweetwater (I-20) in Nolan County, Texas, one hour from Abilene, four hours west of Dallas.